It’s true what they say: companies don’t make products like they used to. But I argue one company still crafts impressive, long-lasting products: Andis. I spend a lot of time around clippers and other haircutting gadgets. Ever since I started in the industry, Andis seemed different from other brands. They excite talented hair salons and barbershops around the country since the 1920s. I know barbers that turn into little kids whenever Andis announces a new product, giddy to make a pre-order. They’re tools that impress and awe professionals. But Andis clippers and trimmers aren’t only for the hardworking barber. Consumers gain plenty from Andis clippers, too. 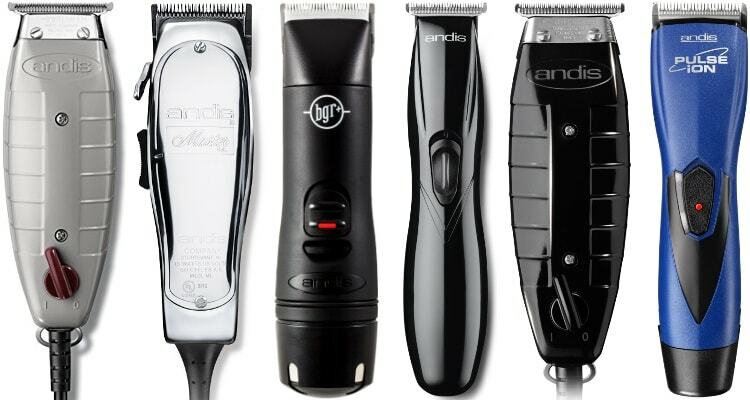 Although every Andis clipper is worth the money, you need to know which one suits your needs. So, I scoured my long history with the company and summoned up this list of best Andis clippers. It’s perfect for both consumers and professionals. Continue reading to find out which products made my list and why you need them. What Makes Andis Clippers the Best Choices? 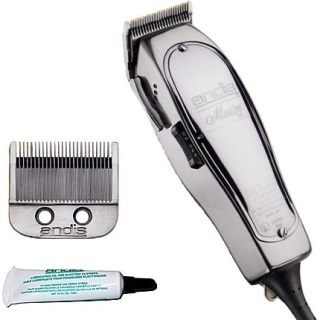 The Andis T-Outliner is a staple in barber shops across the country. 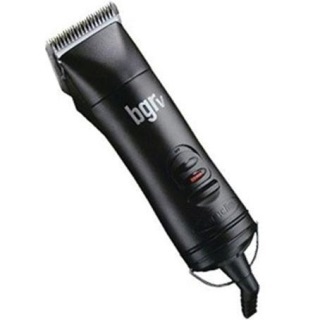 It provides a super close cut and can be zero-gapped for an even closer experience. Andis makes their T-Blades with carbon steel. They keep a long-lasting edge. If you have other blades you’d rather use, great. You can swap the blades with any other one you prefer in the Andis line. This clipper is ideal for delicate fade work and outlining. Tricky spots like your neckline and around your ears are what Andis designed the clipper for, too. Also, the T-Outliner is a great choice for beards and mustaches. It cuts so close you can even use the T-Outliner for dry shaving. The 7200 SPM (strokes per minute) magnetic motor hums with no harsh vibrations. Andis designed the T-Outliner to run quiet and cool. With a contoured body and ribbed grips along the side, the clipper fits comfortably in your hand with no worries of slipping. The body also features a metal loop at its base to hang it and an 8-foot cord. In the box with the clipper you also get a tube of blade oil. I think the T-Outliner is the only close cutting trimmer you need. It’s been tested in the industry for years, and Andis has got the price down to where anyone can afford it. There’s a cordless version if you can’t tolerate being pinned down, but the included 8-foot cord is more than enough for most of us to use without a problem. At first blush the wider body seems like it won’t be comfortable to hold. I say it seems wide because once your use the trimmer that worry fades away. Speaking of fades, the blade it ships with works well. But a lot of professionals prefer a different blade on the T-Outliner. Switching out the blade is easy. Your just remove the top two screws and the blade comes off. My thumb reaches the power switch without straining which is important when you’re turning it on and off all day. But know that a fresh T-Outliner often has a stiff power switch. That’s normal. You must wear it in. The T-Outliner blade isn’t as durable as the thicker, standard blades. Be careful how you set down the clipper. Don’t manhandle it. And store the device properly when you’re done with it. Another choice to find is this model featuring a taper lever. The versatility of this 15-Watt clipper provides a firm body for your use. It is convenient to have the ability to switch between blades. You can go from a closer trim to a longer one in moments when you can switch. The Master hair clipper is one model that lets you go from one length to another. The taper lever on the top part lets you adjust the stainless-steel blades. The clipper goes from a close 000 cutting length to a slightly longer 1 length as you switch the lever. The magnetic motor continues to operate at 14,000 strokes per minute no matter which cutting length you use. The motor is also quiet and housed within an aluminum body. A flashy design is incorporated in the layout. The body is reminiscent of what you would find in a classic barbershop. A small curve is prevalent on the clipper and fits in either hand. The power switch hides directly under the taper lever. The clipper weighs about 1.25 pounds. An eight-foot power cord provides power to the clipper. A reinforced rubber shield protects the connection. You will not lose power when using the clipper. The aluminum body looks flashy, but there’s more to the Master than meets the eye. I love how the Master offers a close cut every time I use it. The 000 length gives me a clean shave, while the 1 setting is useful for sideburns and other coarse spots. The clipper did not slow down as I moved them along. I tried them on my sideburns, and the cutting teeth continued to move at the same speed. I did feel a slight bit of heat, but that heat went away in a few moments. I love how the power switch is located around my thumb. I can turn the power on or off in moments. The design fits well in my hand. I can also use the clipper without worrying about the power cord kinking up or being too hard to position. 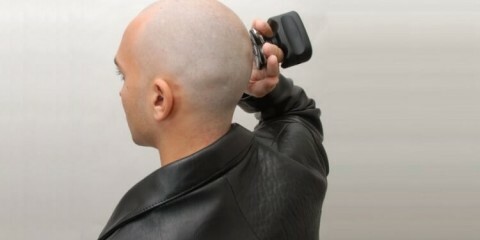 The clipper can get hot if you are too slow or you are taking in more hair than what you can cut at once. The taper lever should be used accordingly. Most of the clippers you’ve been reading about in this Andis clippers review utilize power cords. 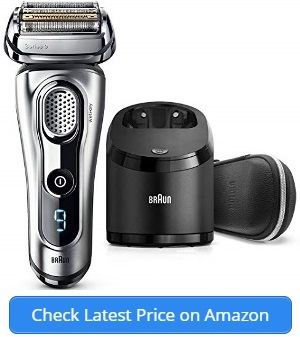 But the Professional Ceramic Hair Clipper is different in that you don’t need any cords. The Ceramic set operates on battery power. The clipper comes with a Sensa Charge station that helps you charge up the battery. The bottom part of the clipper fits into the charging dock in moments. The red and green lights on the bottom let you know how well the battery is charging. The battery lasts for about an hour when fully charged. A ceramic 000 blade is utilized on the top. The blade provides a smooth cut and does not wear and tear with regular contact on your skin. A rotary motor produces a fast motion as well. The blade is part of Andis’ CeramicEdge line of ceramic cutting tools. You can unscrew the blade and replace it with a different CeramicEdge blade if desired. Seven guide combs from 1.5 to 25 mm in length are included. The seven combs provide you with several lengths for cutting short and long hair alike. One thing I like about the clipper is that I can discharge the battery by using the white button on the charging base. The battery will discharge all the way before it charges up again, preventing the power source from developing a memory. Also, the battery charges up in a few hours. A storage case is included with the clipper set. The case actually fits everything in there the right way. I don’t have to struggle with getting all those pieces together. I can also use multiple batteries in a day if I have to. I can order a few replacement batteries to add and remove as necessary. I won’t run out of power. The clipper does not come with a separate cord that I could use to make this a corded clipper. I have to buy that part separately. Even then, that cord is not too long. Every shaving task comes with the risk of developing ingrown hair. The Skin-Close Headliner significantly reduces the risk of such a problem. The 000 T-blade provides a close cut during every shave. The cut produced by the T-blade is close enough to let your skin look a little more visible. The blades will not tug at your hair or cause irritation. More importantly, you will not be at risk of developing nicks or cuts when using the Skin-Close Headliner. The blade moves through dry hair with ease. The clipper works best with faded hairstyles. More importantly, the blade’s extended edge provides a space for trimming the slightest bits of hair. A magnetic motor powers the stainless steel blades. The motor operates at about 7,200 strokes per minute. The body comes with a flap top surface. The top part of the clipper comes with an indentation that you can rest your thumb on. The trimmer is suitable for either hand. You can also clip longer bits of hair with the support of four comb attachments. A small latch is on each piece to help secure these combs in their place. I get a slight stubble effect every time I use this clipper. I think the effect offers a sexier look than a clean-shaven style. But I also like how the trim keeps my facial hair under control without causing any redness or cuts. The clipper does not catch on my skin either. The clipper also works on assorted parts of the body. I can use the attachment combs to trim my chest hair in moments. The blades will not clog up as you use the trimmer. The included brush helps you to clean out the blades as needed. Don’t forget to oil the blades. The blades respond well to the oil without causing the fluid to drip or smear all over the housing. The attachment combs are useful, but I feel a tapering lever would have been better for handling longer bits of facial or body hair. The lever could adjust the blades on the spot. The GTX T-Outliner is another model that uses a T-blade. The design is made primarily for fade haircuts, although it can work for most other hairstyles. A fade style requires extreme precision. 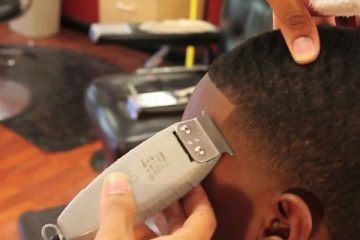 You must produce a gentle transition from short to long hair when producing a fade. The GTX T-Outliner gives you the power to produce a fade. The close-cutting carbon-steel blades and the razor’s attachments provide a better cut. The clipper uses 000 carbon-steel blades to produce a firm cut. A magnetic motor operates at 7,200 strokes per minute for a clean cut every time. The blades can also be zero-gapped. The feature means the blade can target the skin for the closest possible cut. The set comes with attachments that operate at lengths of 1.5, 3, 6, and 10 mm. The combs are easy to add and remove for a fade cut. The contoured body features a grooved design. The rising grooves will fit in between your fingers. A hanger loop is also included at the bottom for supporting the eight-foot power cord when you are not using it. 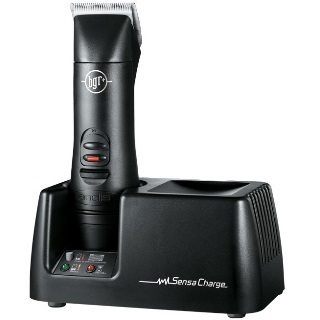 Finally, the trimmer does not produce intense heat when in use. The metal body provides an insulated surface for keeping the space cool. It took a bit for me to see how the zero-gapping feature works, but it ran like a charm after I figured it out. The zero-gap setting gets very close to the skin without irritation. I can add the cutting attachments to the base in moments. The attachments give me extra control over the cutting process while still being simple and easy to apply. I love how the attachments give me extra control as demanded. The blades are very sharp and cut through hair in moments. The fast motor also adds a gentle approach. I did not struggle with moving the clipper along the face or body when using this. The handle also gave me enough control. The zero-gap feature works best when you’ve got very short hair to cut. I had a tough time using that setting on longer bits of hair. Here is another great clipper among the top Andis clippers is somewhat similar to the Professional Ceramic clipper you read about earlier. But there is a significant difference between the two. The two models use the same battery charging system. But the big difference is that the 5-Speed Hair Clipper comes with five speed settings. The clipper set uses an UltraEdge size 1 blade. The stainless steel surface provides a close cut. You can also adjust the blade to a 000 length if you prefer. The blade can be removed and replaced with a different UltraEdge blade if desired. A pivot motor produces the power needed to move the blade along. The five-speed control system is adjustable through the control buttons. The buttons operate near the power cord on the bottom end. You will notice a sizeable change in speed between each cutting mode. The power switch is positioned to where you can directly access it with your thumb while holding the clipper. The battery stays on the bottom part. The clipper can also be used when the power cord is plugged in. I was impressed with how well the clipper set can be customized. I can use a wide variety of blades on the top, including some zero-gap blades. I don’t have to touch the screws or take anything apart to replace or clean those blades either. The clipper works on dry and wet hair alike. I tried this on my chest hair, and it did not tear my skin. The body did not heat up even as I went through all that dense hair. The clipper set is also very quiet and does not produce lots of vibrations. I was able to keep a firm hold on the clipper without it slipping off. The power produced by the clipper doesn’t feel as strong as what I’ve found with other models. It takes an extra bit of effort to make this one work all over. 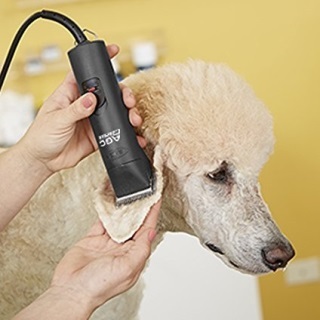 When Andis released their Proclip series, they redefined pet grooming. That’s because a pet groomer’s salon differs from a barbershop. Dogs don’t just stand there and enjoy their experience. They move around and things get knocked over. But a Proclip doesn’t break when it gets knocked over. 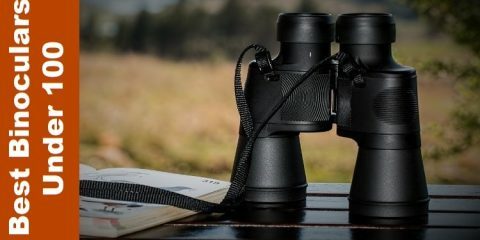 The shatter-proof polymer housing isn’t its only benefit. The heavy-duty two-speed rotary motor cuts through thick hair. Its two speeds are 2700 SPM and 3400 SPM. Like all Andis clippers, the Proclip operates cool to the touch. Its detachable blades can be switched out with any UltraEdge products, including the higher end ceramics. A detachable clipper allows you to switch sizes on the fly for more complex dog breed styles. This eliminates the need for multiple clippers with different screw-in blade sizes or experimenting with clipper guards. It’s a versatile clipper with a 14-foot cord and lock on the power button to ensure it doesn’t switch gears mid-cut. The ProClip AGC2 comes in multiple color options, and it ships with size 10 UltraEdge detachable blade. 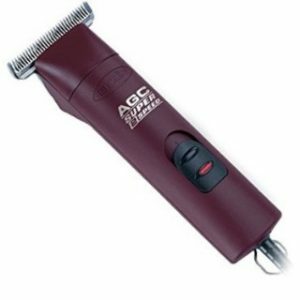 The ProClip ACG2 is nearly identical in design to the Andis Excel but with a more durable exterior. Although meant for pets, there’s no reason you can’t also use this on people. The only inconvenience rests in the need for a proper clipper blade. The included size 10 is too big for close clipping. Then again, that’s probably not what you’re using this for. The ProClip stands out as a bulk cutter. If you want tight lines and detail work, you buy the T-Outliner. I recommend the ProClip AGC2 for all bulk clipping. It’s incredibly durable and doesn’t overheat, no matter what you’re cutting. I’ve used this clipper on my hair and switched out the blade and shaved my Labrador for the summer. Pet owners, this is where you come in. Most dogs don’t need a trip to the salon. With this clipper, you save money on your hair and your pet’s hair. Plus, it’s quiet and shouldn’t bother pooches sensitive to loud vibrational noises. While durable and great for human use, you must spend the money on a proper clipper blade if that’s what you’re after. 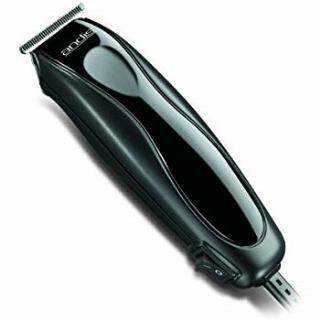 I recommend the ceramic line of Andis blades, which are compatible with this clipper. Andis designed the Proclip2 Super around the two virtues grooming pros need in their clipper: reliability and performance. The break resistant housing ensures that no matter where you take this clipper it won’t let you down. With a focus on large animal grooming, this isn’t a small claim. Horses weigh 1,000 pounds. Most clippers that are stepped on once by a horse are lost forever. Not the Andis ProClip Super. The wide barrel body is easy to hold in multiple positions. The power button adds to the ergonomics with a power lock feature, so you won’t accidentally switch speeds mid-cut. Yes, the clipper features two speeds. The “super” branding comes from the installed high-speed rotary motor which runs up to 4,000 SPM. As a detachable clipper, the AGC2 Super can use any Andis blade. It ships with the specialty T-84 blade. This is a wide blade great for cutting large swathes of hair. Andis rounds out the package with an informational DVD on large animal grooming, a bottle of clipper oil, and a hard plastic carrying case. What I like about the AGC2 remains the same with the AGC2 Super. It’s a durable, long lasting bulk clipper that maintains the ergonomics you want in a human hair clipper. The perfect customer for this clipper is an equine owner, farmer, or groomer. But it’s also great for pet owners and do-it-yourselfers that want one clipper that satisfies all their needs. Out of my three picks, I imagine the AGC2 Super lasting the longest. Built for hard working conditions, it outmatches the Andis Excel, which is the human variation of this product. This clipper has never failed me. And I like how comfortable it is in my hands. Even after a long day of hard use it doesn’t overheat. The carrying case stands out as a fantastic addition, too. It easily fits the clipper and spare blades. I doubt a suburbanite will require the instructional DVD on horse grooming, and you can’t attach normal Andis guards onto the T-84 blade. That mean’s you must buy a second UltraEdge detachable blade. 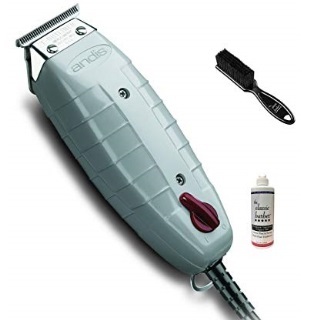 Andis makes its clippers with sturdy magnetic, rotary, or pivot motors. A motor will produce 7,000 or more strokes per minute. Each model uses a different speed setting. A model with a faster speed will move with ease along your skin. The blades Andis uses are sturdy units that sharpen themselves and are easy to brush off and oil. You can find these blades in many sizes as well. You can replace the blade in moments to get a closer or wider cut. Andis provides an assortment of replacement blades including 00000 blades for closer trims. Don’t forget about the comb attachments Andis makes on some models. You won’t have to struggle with holding any of Andis’ clippers. 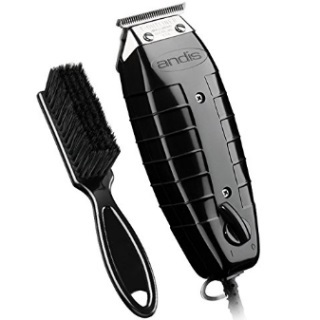 Andis makes its clippers with firm bodies that stay intact and will not slip out of your hand. The firm grip is made possible by the curves and grooves found on your Andis clipper. The control features are also positioned in spots that you can reach without moving your hand around. You can get the switches and knobs handled with a flick of the thumb on either hand. Andis uses two types of power sources for its clippers. First, you can use a basic corded setup with an eight-foot power cord. The cord is lightweight and flexes well. Second, you can use a rechargeable battery that is powered up off a portable charging base. You will have a useful power supply for the clipper regardless of the source you use. 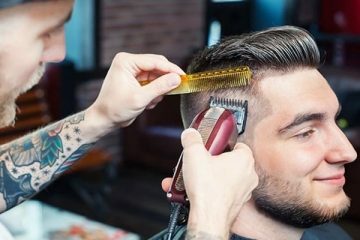 You can trust clippers from Andis to help you with trimming various types of hair. Andis makes models that work on various hair spaces including tight weaves and close cuts. You will get a clear trim along your body no matter which model you use. Best of all, you can use some models on your body hair even if the hair there is hard to cut. Each Andis clipper comes with blades that are easy to clean off. Each model comes with a brush to help you clean off the blades. You can use the brush when you’ve got lots of hair stuck in the blades. Also, each blade needs to be oiled regularly, preferably before and after each use. The blades respond to oil well without the fluid slipping off. Andis Clippers began in 1920, in the basement of Matthew Andis’s home. He started the company while working as a toolmaker in Racine, Wisconsin. He sold his first model door-to-door to barbers and stylists in Racine. When the orders overflowed, the Andis family pitched in and assembled the clippers with him. Matthew Andis’s hard work paid off. He incorporated the Andis Company in 1921, a year after quitting his job. They still sell their original clipper model, the Andis Master, to this day. Heritage means a lot to the Andis brand. Matthew Andis Jr. took over for his father in 1938. His son Matthew L Andis preceded him in 1971. Today the CEO is another son of in the Andis line named Matthew K. Andis. Although their products now range from hair dryers to nail grinders, their clippers remain their crowning achievement. Hopefully, I’ve convinced you to buy an Andis clipper. I’ve yet to meet a customer who doesn’t find exactly what they want within the Andis lineup. The Professional T-Outliner is my choice among the top Andis clippers listed here. I like how the T-blade provides a good trim around the tightest spaces on the skin. The easy to use body provides me with enough control over the clipping job. I also like how I can move the T-Outliner around without much effort. The clipper and its cord are light in weight. And remember, you can have more than one clipper. I recommend having at least two. I own many of the clippers on this list. I collect them. Right now, I use my T-Outliner for close trimming and the Andis Master for clipping. But no matter what model you buy, you can trust Andis’s products. They’ve impressed barbers and stylists for nearly 100 years. Once you use one, they’ll impress you, too.